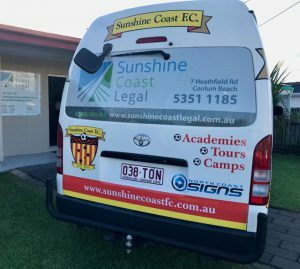 Sunshine Coast FC is pleased to announce North Coast Signs as the most recent business to partner with the club. 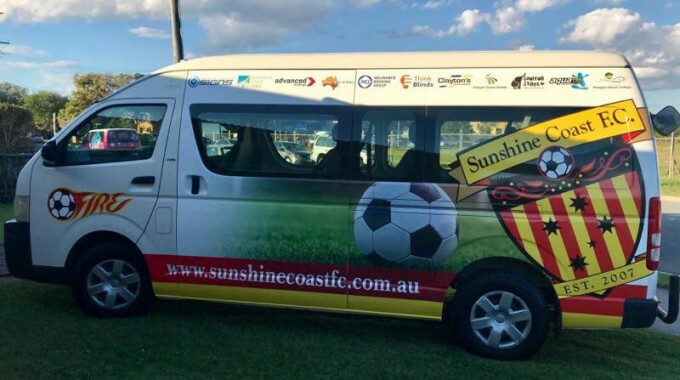 The generous sponsorship of North Coast Signs has allowed the club’s buses a get a refreshing new look to showcase Fire’s sponsors around Queensland. Established on the Sunshine Coast in 1999, the team at North Coast Signs has extensive local knowledge and a wealth of experience. Visit www.northcoastsigns.com.au to see everything North Coast Signs has to offer.